These new LEDs give your tower, reservoir, CPU waterblock etc. a whole new and unique look. 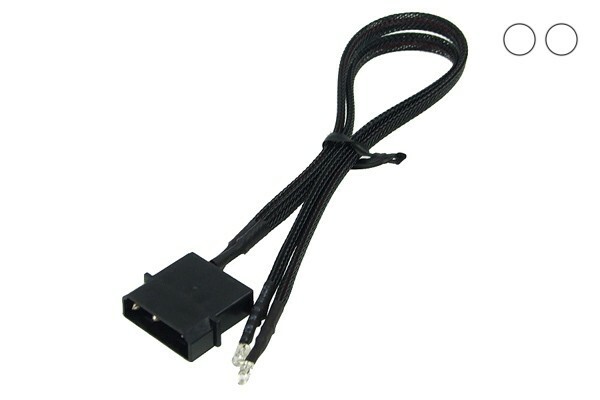 The LED this directly connected to the PSU via a 4-Pin Molex plug. Hence this LED can be used without any soldering! The cable used to connect the LEDs is not only functional but also looks great! The sleeving is very dense and offers the perfect effect for which pro sleevers are looking: Total uniqueness and a whole new look. Special attention was also paid to the overall appearance, as the connectors, heatshrink and the sleeve are chosen to create a matching design. Die Helligkeit lässt zu wünschen übrig und die Kabel sind sehr unflexibel. Einziger Pluspunkt sind die schönen Sleeves.